One guy's car blog about racing, hot rods, auto repair, and anything else that has to do with cars. 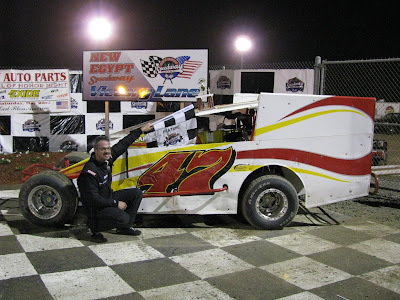 New Egypt has some great racing last night. The track started off pretty dry and slick and stayed that way all night. Usually this means very little passing, but there was plenty of two groove racing last night for those who took advantage of it. Billy Pauch and Rick Laubach again put on an amazing display of driving as Laubach caught up to Pauch and challenged him. They battled for several laps, with Pauch finishing 2nd and Laubach 3rd. Todd Cray has got everyone covered in the Super Stock division. He spun in his heat and came back to win. 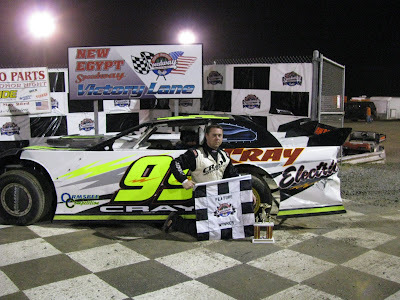 Cray also made his way to the front in the feature, able to pass cars both high and low. The rest of the guys are going to have to play catch up if they want to challenge Cray this year. There were only 14 Crate 1 cars. 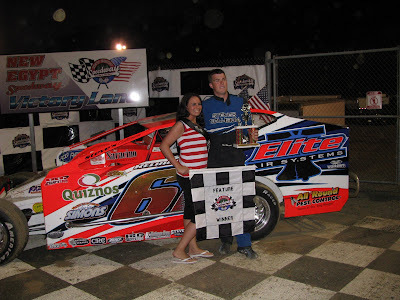 Something needs to be done to grow this class if NES expects this class to be the future of Sportsman Modified racing, no? We really got dusted over in turn 4, due to the wind blowing straight into the grandstands, which is kind of unusual. I was told that Turn 1 is much better in conditions like this.